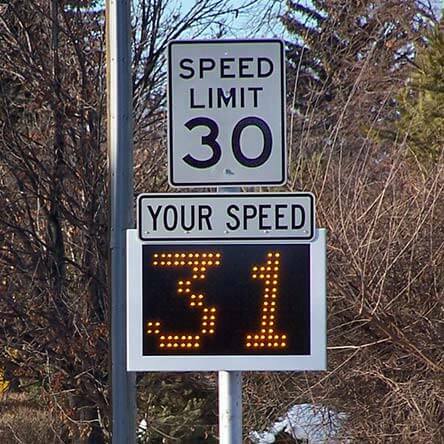 RU2 Systems has been supplying Traffic Engineering agencies with quality speed radar signs since 2000. 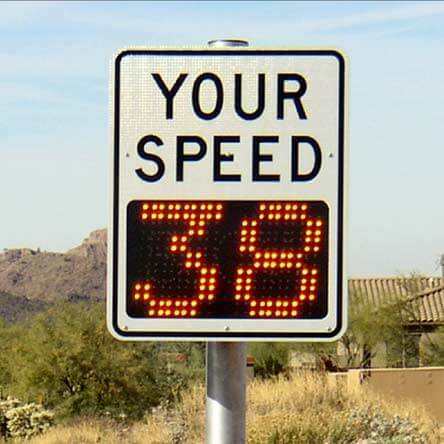 As a safety service to their community, the speed trailers are deployed around the city in school zones, work zones, play grounds, and any place where motorists need to pay special attention to their speed. 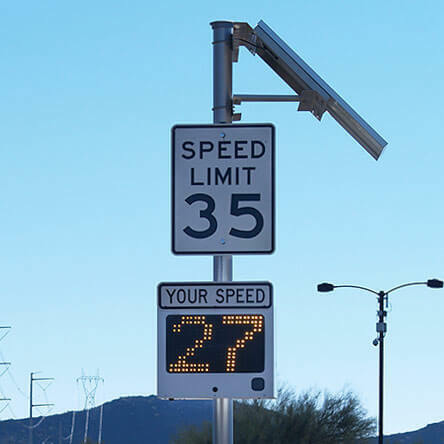 Most used by the Traffic Engineering community are our pole mounted radar signs. 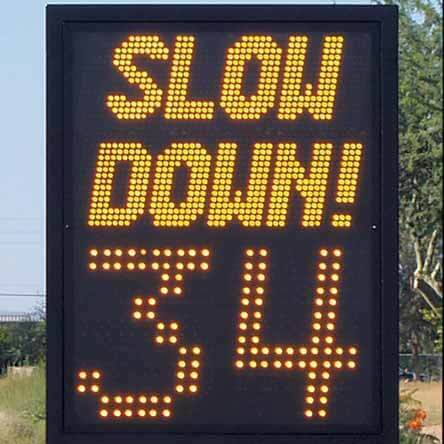 There is a variety of fixed mounted radar signs available to fit a variety of situations. 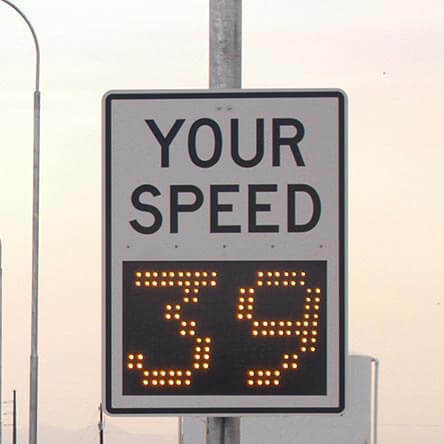 These start with the smaller 12″ character displays for speeds under 45 MPH and 18″ displays for higher speeds, to over under YOUR SPEED and changeable SPEED LIMIT signs. 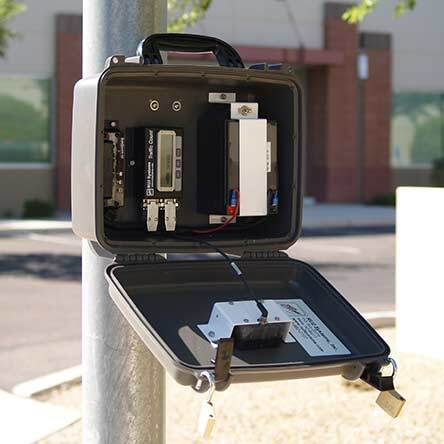 The displays can be powered by AC or solar for remote locations. Please look deeper to see what we can do to fit your needs.